Things hotted up this week weather-wise, before a slightly inevitable Bank Holiday denouement and a break in the weather. There was a really varied choice of racing fayre on offer this week and as is customary, Claytoners were out winning races, breaking course records, running incredible distances, breaking PBs and filling up the results sheets across the board, from Parkrun to fell to city streets. 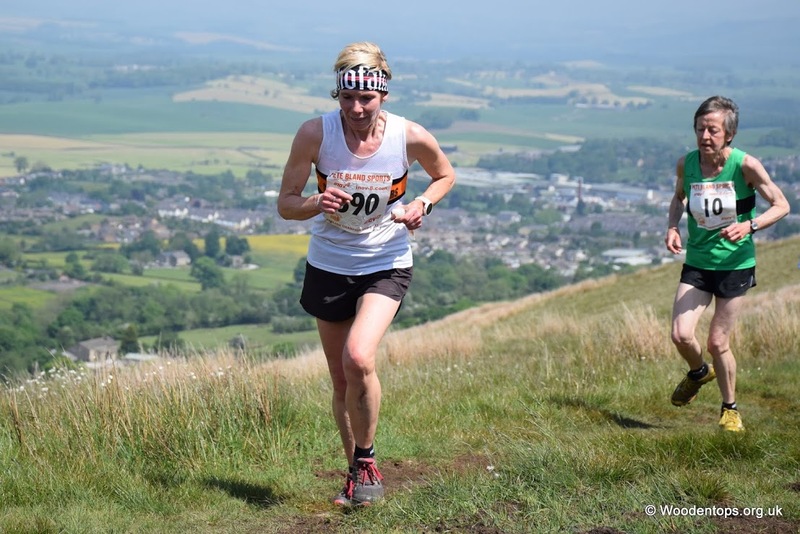 This regular Rossendale Harriers fixture covers the steep Mary Towneley climb up to Cowpe Lowe before heading up past Waugh’s Well and onto Whittle Pike. The return is on fast runnable paths and makes for a great mid-week race. 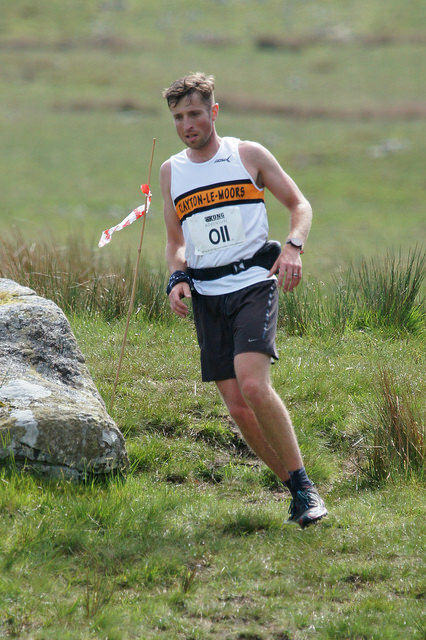 Peter Coates went well and was 5th in 34:36, with Chris Snell 20th in 36:55 and Stephen Fish 114th in 51:23. 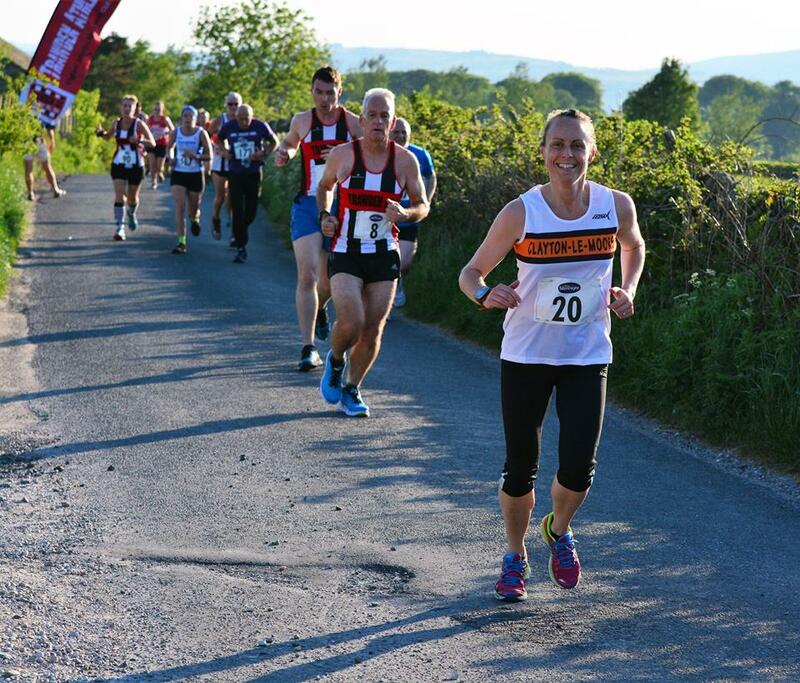 We’re already onto Round 4 of the Burnley and Pendle Grand Prix series this year, but after 3 off-road rounds, the Lions 10k was the first on-road event for the keen road runners to stretch their legs in. 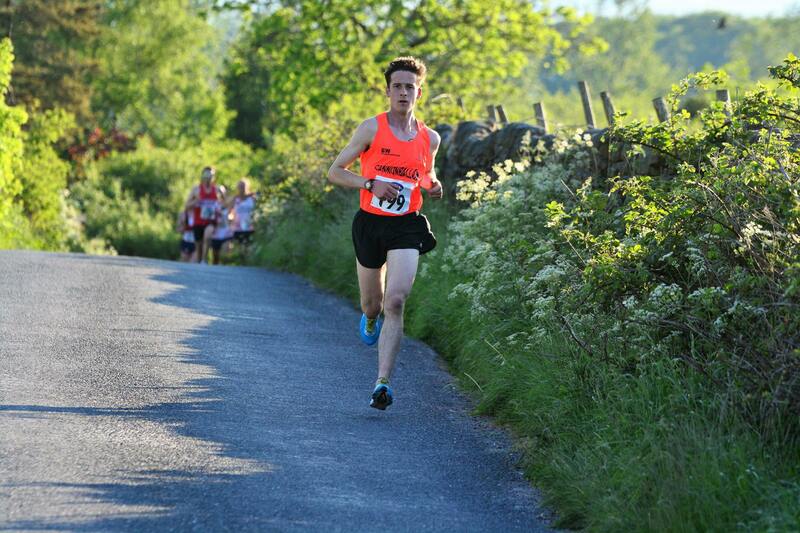 Danny Collinge was a clear winner in 35:39 from Thomas Blaney of Blackburn and Julian Hood of Barlick. Louisa Powell-Smith pipped Carla Davies from Red Rose for first Lady home in 42:07. After a few poor runs recently where I’ve felt like I’ve struggled I was nervous about the 10k race, especially the hilly parts. I knew I had well prepared with breakfast, lunch & a pre-race bagel and drunk plenty of water to make sure I was hydrated. But the nerves were there and knowing it was a very hot evening didn’t help! I took my time at the start, as it’s easy to set off too quick trying to keep up with the other runners. Then came the hill at the start! I actually felt fine and managed the whole 10k without walking on the hills. I ran quicker on the second time round and actually managed to over take quite a few runners. Despite the heat, I really enjoyed the race, felt great and loved every minute! I even knocked 4 minutes off my time from last year. Maybe I was the only one who enjoyed it this much! One of Pendle’s Three Peaks, Weets is a quiet unassuming summit that is best known for it’s great views over the region. 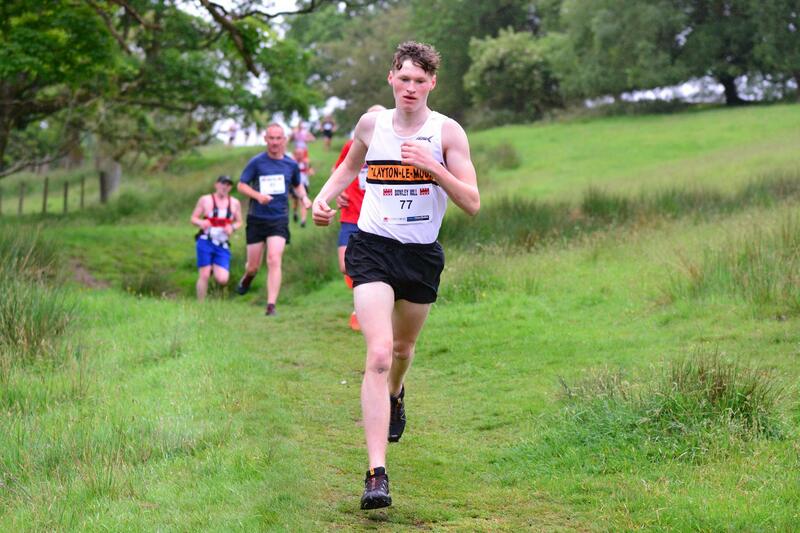 It wasn’t so quiet on Saturday as many of the best runners from around the country descended on Barnoldswick for the English Champs second round, joined by many locals keen to take them on over familiar terrain. 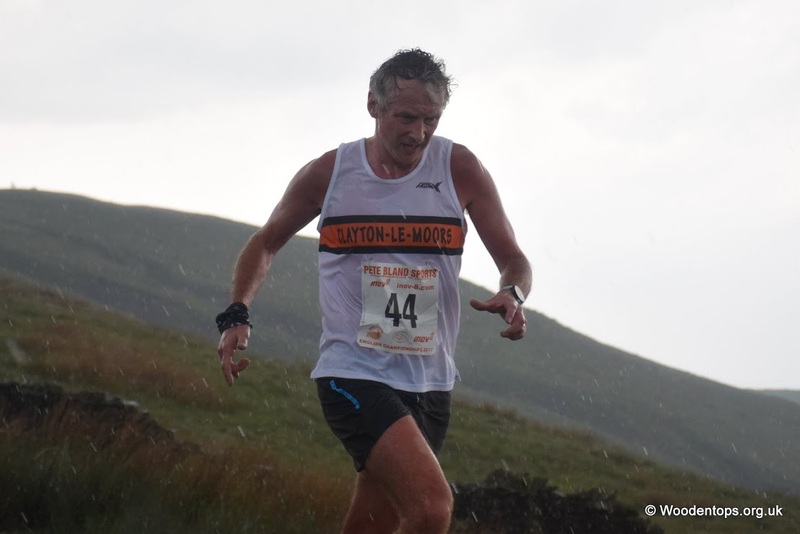 The race was a AS cat race with it’s 6.1m and 1804ft climb and the separate women’s and men’s starts were accompanied by somewhat differing conditions. The women’s race enjoyed sunshine throughout whilst the later men’s race was hit by a big rainstorm half way through. In the Womens race won by Victoria Wilkinson, Barbara Savage led the Clayton women home in 56th and in the mens race won by a charging Chris Arthur, Andrew Laycock was first Clayton man home in 55th. 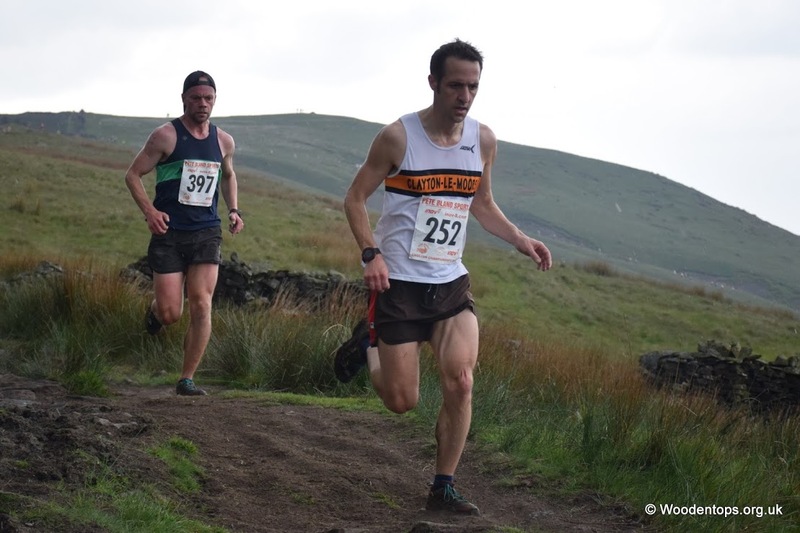 Won by Danny Hope from Horwich, this long running race based around the country fair attracted 4 Clayton runners – 97th was Wayne McIntosh Sen in 1:18:29, 126th Andrew Dugdale V50 in 1:23:51, 167th Michael Frost V60 in 1:40:26 and 179th Robert Hirst V60 in 1:54:30. Spring Bank Holiday always throws up a big choice of races and this year was no different. I opted for my favourite double of Hutton Roof on the fringes of the lake district and Austwick Amble in the Yorkshire Dales. Hutton Roof was on the Saturday and I drove up to Kirby Lonsdale in blistering heat, far to hot for me to be running hard, but the weatherman had promised a break in the weather with possible thunderstorm and heavy rain. Somewhere in the middle would be ideal. 4 of us from Clayton did the race and we all survived the epic storm which hit as we ascended Farleton Knott and lasted about 20 minutes. Hats off to the marshals at the top in those conditions! Had a decent run to finish just outside the top half of the field and a good few minutes quicker than last time I did the race. 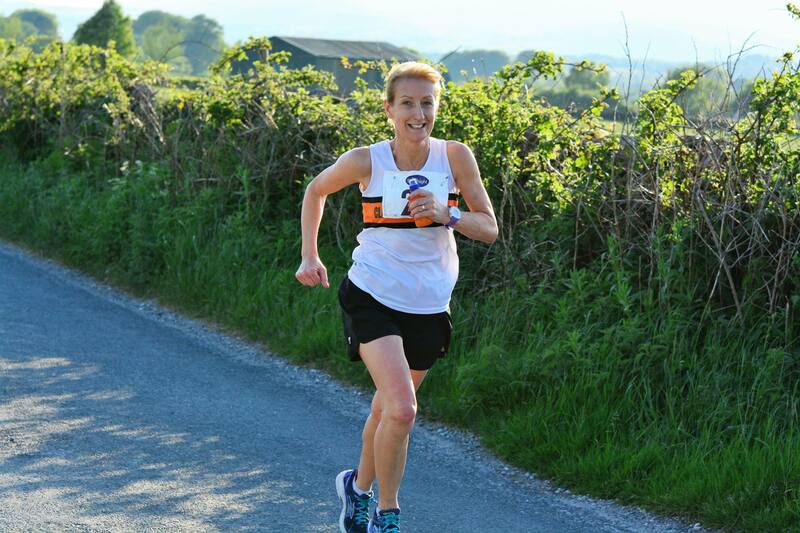 Jean Brown was on fine form again, soon after her record breaking run with Nicky Spinks at the Old County Tops, running this 110km Ultra with around 17000ft of climb to take 61st overall and 4th Veteran Woman. She finished in a time of 20:07:25 and surely deserves to put her feet up for a bit? 5 Clayton Juniors lined up for the start of the Junior Great Manchester Run. All parents were a little nervous, given the horrific events earlier in the week, but the kids had wanted to run.. so who are we to stop them. 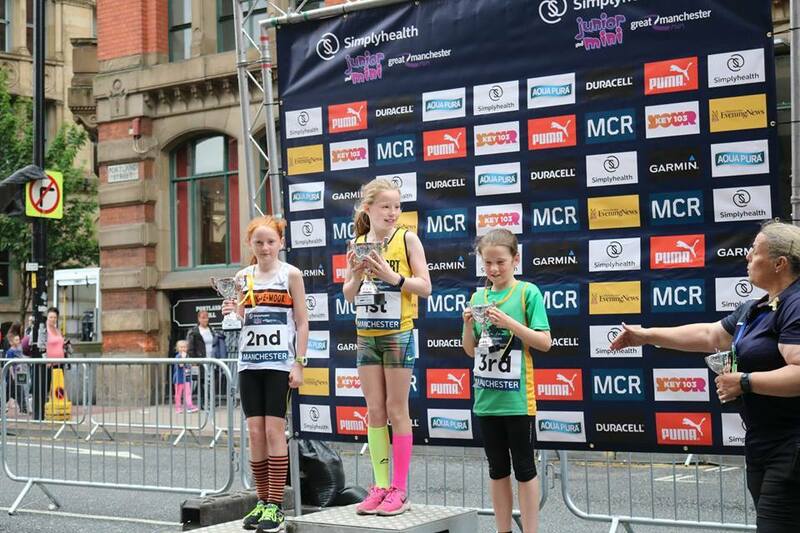 (Looking at the turn out for the Juniors the numbers were well down on last year, but whether this was Mondays events, or the change last month of race day & Venue from Saturday at Etihad Stadium to Sunday Manchester City Centre, we will never know). I did not know that Jackson and Josh were competing, so when they all entered their pens at the start line, I was surprised to see Jackson chilling on the start line. In fact he was so chilled it took a couple of shouts for him to turn and face the camera (I even wondered if I was just shouting at a random child.. but the BOFRA t-shirt gave it away). The 12-15 Years Boys started first, with Jackson and Alfie in this race, then each wave followed 2 minutes later, so 12-15 Girls (no Clayton Runners), 9-11 Boys (Jenson and Josh) followed lastly by 9-11 Girls and Helana. It was an out and back race 2.5K, but Helana said the tight barriers made it harder than last year, especially when trying to overtake the slower runners from the earlier waves. – Helana and Alfie also made the BBC Great Run Highlights programme, their club vests making it easy to spot them, and Jackson caught the eye of the Daily Mail photographer on their write up. All the kids did brilliant, running on an emotional day, with lots of armed police officers around. Girls 9-11: 2nd – Helana White- 00:09:31 Helana was very pleased to make the podium again at this race – she was 2nd here last year. I think she likes the middle spot on the podium. Jen Deane and Andy Quinn took a sightseeing trip to Edinburgh and fitted in some running while they were there..
A quick note on Edinburgh half: my first run in Clayton colours was a mission to get an old friend to the end of her first Half Marathon that she was running in memory of a friend who died very young of cancer. It was a fantastically well organised race with a flat fast course that went down the coast to Musselburgh. The heatwave gave us a few problems but we took our time and still had the energy to sprint over the line about fifty minutes after I would have normally got there. A hugely enjoyable day out. I didn’t get into the London marathon, so thought Edinburgh would be a good alternative, it’s pretty flat so seemed ideal for my debut marathon. In training I knew I was capable of 4 hours, which is roughly 9 minute miles, so I set off, with my plan – just keep knocking out 9 minute miles. The first 5 miles is mainly downhill, so I allowed myself to ‘go a bit faster’ but when we hit the flat road along the coast, I was feeling good so just kept on going. After 13 miles I was thrilled to have knocked out regular 8 minute miles – so much for the plan! But could I keep it going? It was hot and sunny, and around 17 miles I suddenly seemed to get slower. I’d had water and energy gels at every station, but maybe I was a bit dehydrated. Were the wheels about to fall off? From 20 miles onwards the glutes, calves, hamstrings and inner thighs all had their turn at cramping up, and I needed to walk quite a few times. Feeling sick and disorientated didn’t help either. But more water at 24 miles was so welcome, and I perked up for a great finish. I knew sub 3:40 was possible with 1 mile to go, and the roar from the crowd was so inspiring. Managed a sprint finish of sorts, and an unofficial time of 3:40:18; absolutely delighted. What an amazing experience, and thanks to Edinburgh for amazing support all the way round. So proud of myself, but I am definitely NOT doing another marathon. NOT EVER. Will stick to 10k and half marathons from now… can’t wait for Hendon Brook. May I also need to apologise to the spectator who I managed to squirt with my energy gel as I ran past them while opening the gel with my teeth! ‘Penny Lane is in my ears and my eyes…’. Over here from the States, the Rock and Roll Marathon series offers events all over the globe, with a musical backdrop to your running. Various distances were on offer, from 1 mile to full marathon distance. 3 Clayton runners ran the half distance, Cassandra Smedley in 1:46:59, Justin Birtwistle in 1:59:01 and Tracy Plant in 2:06:11. There were two marathon takers, Dan Plant with 3:05:26 and Lynsey Birtwistle in an ‘oh so close’ 4:00:30. 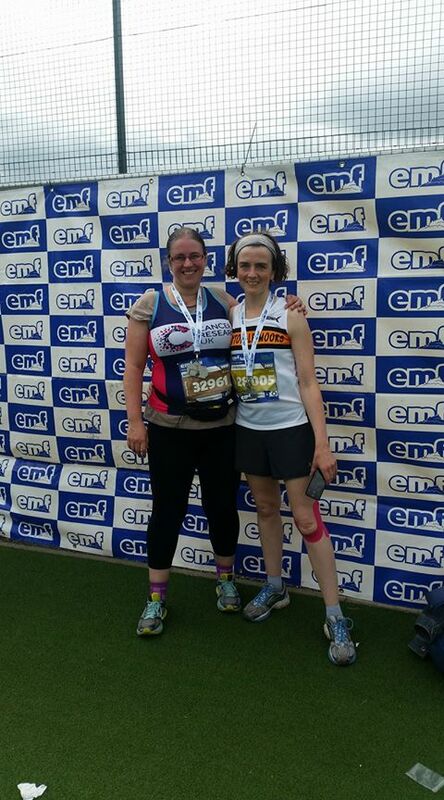 On Sunday, only 5 weeks after London, I ran my second marathon of the year. This was an extra special race for me as I ran it in memory of my friend who tragically died on Monday in the Manchester arena attack. I had asked myself if it was a good idea to do two marathons so close together. This was definitely harder than London and the course was much hillier than I thought. Slightly gutted to have gone over 4 hours (by 26 seconds) but I raised over £3000 for my friends family and did get a half marathon pb during the marathon! 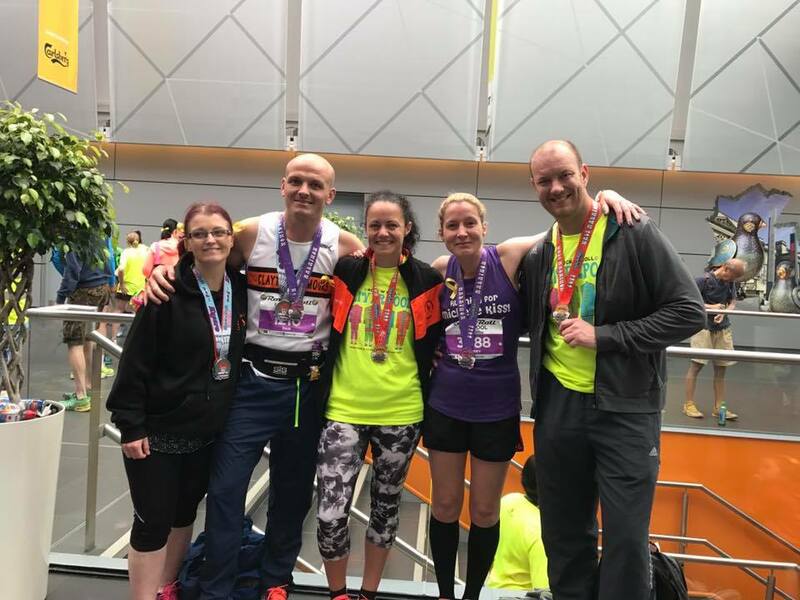 Team Clayton at the Rock and Roll Marathon, Liverpool. Perhaps one for Bob Graham fans and devotees, this tough 15 mile race basically follows BGR Leg 2 to Helvellyn before turning round and heading back the same way. The initial lung bursting climb up onto the Dodds therefore becomes a quad destroying descent back down to the finish at Threlkeld. Won by local Carl Bell from Keswick AC, there were two Clayton finishers from the 124 runners, a speedy Matt Perry (SEN) 8th in 2:29:45 and the ever fast Martin Terry V50 43rd in 2:56:48. 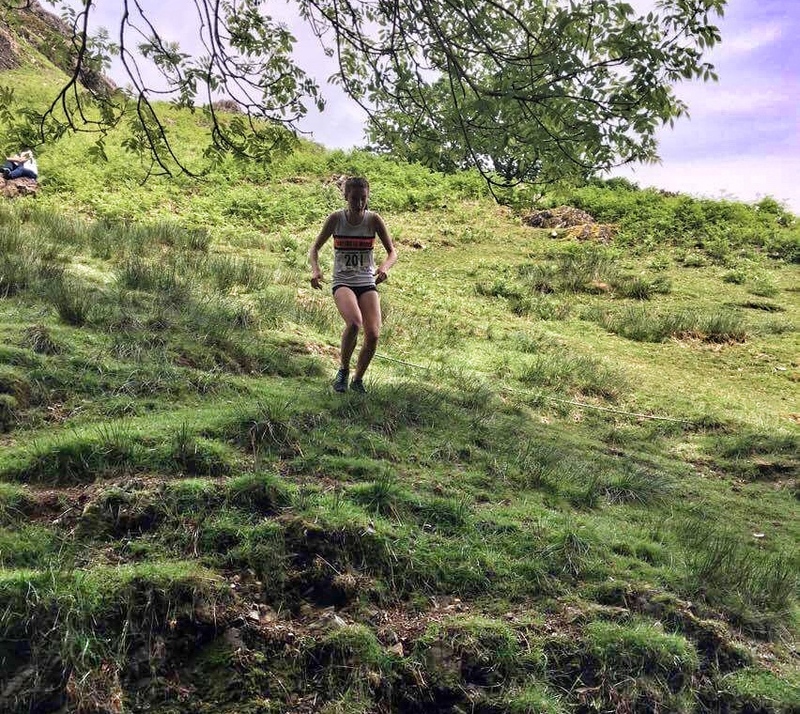 Coniston Gullies, the steepest most technical fell race going… The sun was out for the second round of the BOFRA season at Coniston in the Lake District. It was dry in most places on the course but the rocks were a little slippy; this made the loop at the top quite difficult as we had to descend down what felt like a sheer rock face! As much as I didn’t like the uphill, I loved the tricky descent which made it worth while. It was great to see another Clayton runner there as well (Andrew Firth)! I was pleased with how my race went after seeing some tough competition and I got 2nd girl. Well done to Andrew as well! 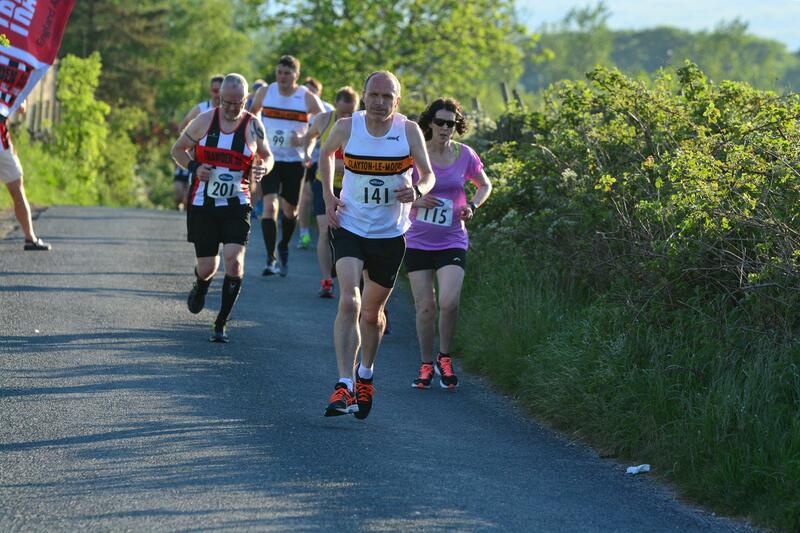 Bowley Hill Trail Race – 5.8miles with approx 100m climb. Starts and finishes in The Great Harwood agricultural show. 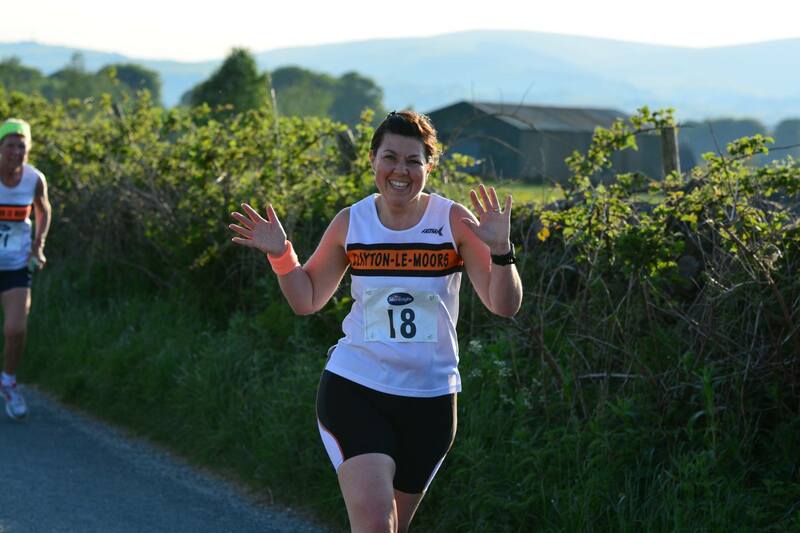 Great mixed terrain race with a couple of fell type hills. Thankfully these were uphill and not downhill as this is where I usually struggle! Great results from Team Clayton. Danny Collinge coming 1st and breaking the course record, Vet wins for myself F35, Dawn Terry F50, Dave Motley M35, Peter Coates M40, Alan Life M50, and Reece Lawrence winning MU21. There were also team wins for the men and ladies teams. Race entry also included entry to the show. Definitely on the list for next year. 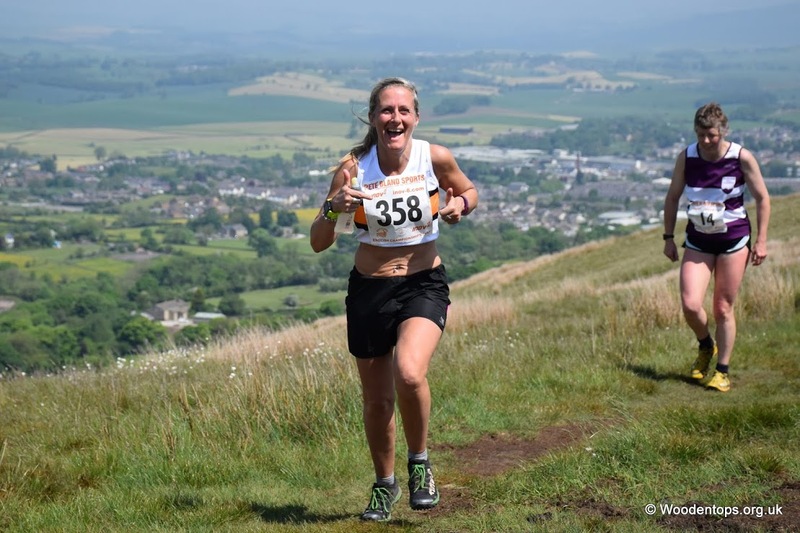 A race that forms part of a Cuckoo Festival… What’s not to like about this ‘slightly-more-than-amble’ 8 miler with 1200ft climb that heads up onto to the flanks of Ingleborough, through the limestone skating rink of Sulber Nick and back to the Village fesitivities. Fast forward (from Hutton Roof remember? Ed) to Monday and I had convinced Bianca Bennett to step out of her comfort zone and have a run at the Austwick Amble. I hadn’t done this race for a couple of years and knew I should be capable of improving on previous years times. The first climb was as horrible as ever up the tarmac lane but I managed to quickly settle into a decent stride as we headed towards Norber. Once up Norber the bulk of the serious climb is done but there’s lots of running to do where strong legs are a must. Thankfully I seem to have mine today… The rain made the run through Sulber interesting and I was reduced to tiptoes on the treacherous limestone. Once through this section I was able to push on and finish strong, again knocking a good chunk off past times. Well done to Bianca who had a good run too! Burnley parkrun – a total of 336 runners took part. 12 Michael STEVENS 19:55 JM11-14 New PB! 25 Finley STUBBS 21:36 JM11-14 New PB! 275 Emily JOHNSON 34:02:00 JW10 New PB! Heaton parkrun – a total of 569 runners took part. Bournemouth parkrun – a total of 469 runners took part. Abingdon parkrun – a total of 371 runners took part. Dewsbury parkrun – a total of 102 runners took part. 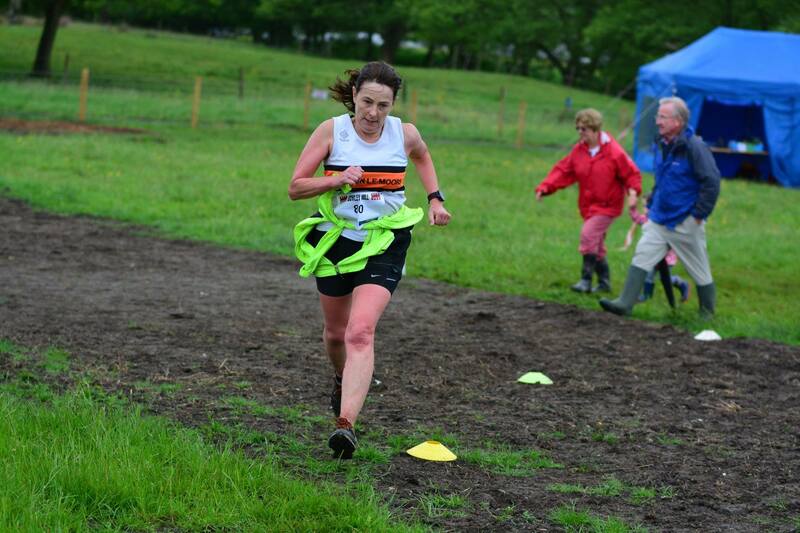 Pendle parkrun – total of 90 runners took part. Lytham Hall parkrun – a total of 162 runners took part. This entry was posted in Other News, Roundup by Alan Dorrington. Bookmark the permalink.